There’s nothing better than being the first to own a brand new DynaMarine. You’ll have peace of mind in knowing that everything is factory fresh, and the confidence that your boat is backed by the best warranty and customer service in the industry. An up-close look at a Dyna reveals our philosophy of only using the best components we can find. Our reputation is based on performance and quality, and nothing second rate will do. From the powertrain to the electronics and everything in between, every Dyna is fitted out with the very best components we can offer. The look of a Dyna is unmistakable and the performance more than lives up to the aggressive style. Whether you are a hard rider or an easy cruiser, you’ll enjoy an airboating experience that is above and beyond the rest. The DynaMarine team takes quality to the extreme. There are no production shortcuts and no detail is overlooked as we strive to build the finest boats in the industry. Our manufacturing facility, equipment and processes are all state-of-the-art, and our production team brings decades of experience and masterful skill to every Dyna we build. The result is a precision machine that is solid and beautiful . . . and performs like only a Dyna can. For the first year of original ownership, Dyna will cover both parts and labor if you experience any problems with your new boat. If you ever experience a structural hull failure or deck delamination at any time while you own your boat, DynaMarine will repair or replace the hull at no charge. DynaMarine leads the industry with advanced CNC laser cut, contour matched and COUNTERSUNK UHMW polymer poly bottom protection, and we stand behind our installation for a full 12 months. 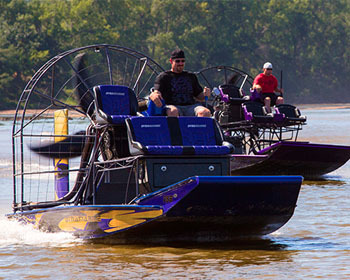 Every Dyna engine is backed by a one-year unlimited hours transferable warranty that, combined with our Limited Lifetime Hull Replacement Warranty, provides customer assurance unmatched by any other performance airboat manufacturer today. 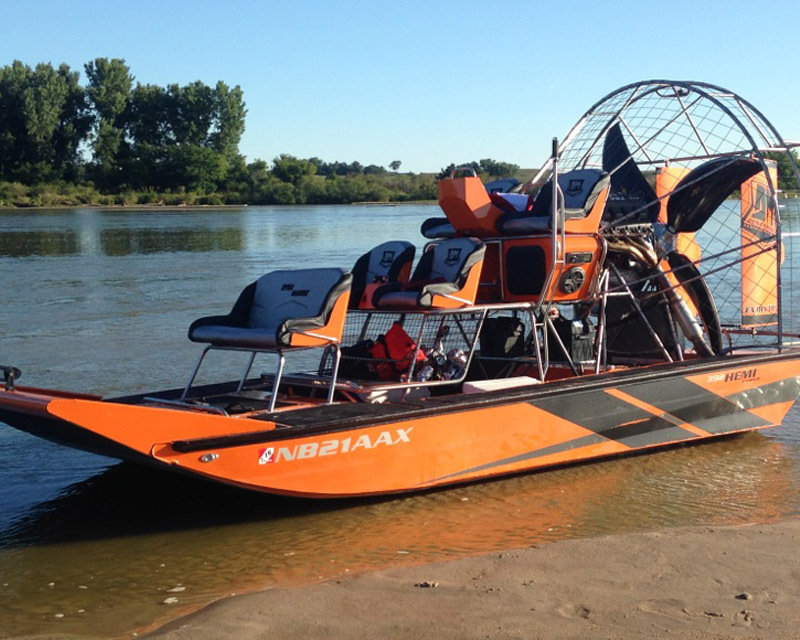 Whether this is your first airboat purchase, or an upgrade from your current rig, DynaMarine is committed to making your buying experience a pleasure. Determining your ideal configuration, designing the finish options, and choosing options and accessories are all part of the process. An experienced Dyna professional will work directly with you at every stage to encourage your input, answer your questions and create the airboat of your dreams. 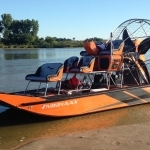 DynaMarine has established relationships with lenders to provide offer financing on the purchase of a new DynaMarine airboat. Attractive terms are available for qualified buyers, or we will work with your own lender to facilitate an efficient transaction. 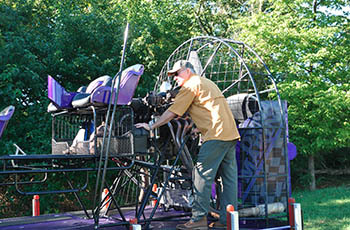 In addition, we welcome your airboat and conventional boat trade-ins. Call us for details.